Thank you for making 2013 yet another remarkable year — completing the 35th anniversary for Cuyamungue Institute. With your support, we have expanded our outreach, strengthened our programs, and deepened our “ecstatic alternate reality” experiences through the profound method of ritual postures. It is my pleasure to share more details of our recent progress and accomplishments. 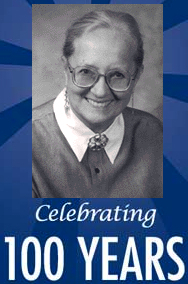 The year ahead promises to be another exciting one — 2014 is the 100th anniversary of the birth of CI’s founder, Dr. Felicitas Goodman. Felicitas was born on January 30, 1914. After much discussion, It was decided that the most practical and potentially the most significant time to hold a gathering is on the Summer Solstice in June. This Centennial Conference will honor her life and work, welcoming all cultures, languages and including all those around the world who are carrying on her legacy. We will come together, both in person and via the Internet, to share stories of Felicitas and what her work means to us. This event is open to all, and we encourage your participation. Space at CI is limited, so make your reservation soon! Those who attend the conference or any of the many events at CI this year will be among the first to enjoy the new Hall of the Thunderbirds! I am still amazed this new building is complete. Inspired by the traditional design of a Navajo hogan, this structure will serve as a lecture hall and gathering place for dance, celebration, rituals, and more. The inspiration behind the design and construction of this new, large, multi-purpose conference hall is a story in itself. The above photo is looking northeast across the 280 acres of the Cuyamungue Institute. In the foreground the octagon building is The Hall of the Thunderbird and our newest addition to the Institute. See the full story below. In the News. Also the Cuyamungue Institute was featured in the fall issue of Sacred Hoop Magazine – a total of 9 pages! It begins with an introduction to the work of Dr. Goodman and the Cuyamungue Institute by Laura Lee followed by a fresh perspective from a first time participant at the Institute, Duane Marcus. The article is provided in a large PDF format so it may take a moment for it to open. We want to thank the editor of Sacred Hoop, Nick Breeze Wood, for his thoughtful support and interest in the story of the Cuyamungue Institute. For our 36-year history we’ve been nurturing this deeper understanding how we achieve a bodily induced shifting of consciousness through Ritual Posture. We have found that ordinary people can have quite extraordinary experiences. Join us – You can have this direct access to the Alternate Reality, and these deep experiences as well! As always, I’d like to hear from you. We continue to collect stories and articles from both beginners and advanced practitioners. Let me know if I may share them here in this newsletter and on our website. Email me at [email protected]. More questions? Get in touch with me. We’d love to learn more about you and how you got here and how the Cuyamungue Method has enhanced your life. This story begins with the decision to construct a new building at the Institute in anticipation of the Centennial. First, we had received an anonymous donation to help build a dance platform. At the 2012 board meeting, I had proposed to get this built in time for the Centennial. The more I thought about it the more I dreamed of an enclosed building… and why not build a structure large enough to comfortably accommodate all those who may show up? I’ve had this dream of adding a building since my first visit to the Institute in the early 1990’s. Easier said than done, and of course significant fundraising is necessary, but I felt the time is now, got the Board of Directors approval and began construction. The project began in earnest when I returned to CI in early April of 2013. My wife Laura was delayed for several weeks on other business, the first workshop was two months away, and I knew this was my opportunity to get going on this dream. I started by walking the land, until one particular site seemed to call to me. It was backed by a tall hill, facing east, at the edge of a deep arroyo, just off the entrance to the dance court. There was a very few remnants of the past sweat lodge that was located in this area years ago and the sense of a strong presence lingered even now. Continue to complete article. Paul and I were looking back on the last two years of our volunteering for CI, and taking stock on what on our very long to-do list we have checked off. 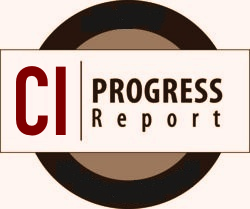 While this list continues to grow (outpacing us by a mile) Here is a progress report and thanks to all those who have supported CI in so many ways. Please see the extensive list of contributors at the end of this article. On your next visit to the CI, you will notice the facilities have undergone a bit of a make-over over the last two years, including the addition of a new building! The CI Website has grown with new features (and more planned) including listings of teachers and workshops at CI, around the country, and abroad. The calendar was filled with workshops and events, and our once a month Santa Fe gatherings – the work has been very well received and attended by locals. Two long-time teachers began trials for new studies to document the safe, natural but profound physiological shifts that occur during practice of the Cuyamungue Method, and CI received added exposure with new books and publications. As we gear up for a dynamic 2014, it’s been encouraging to review the progress of the last two years in detail. The Cuyamungue Institute was featured in the fall issue of Sacred Hoop Magazine – a total of 9 pages! It begins with an introduction to the work of Dr. Goodman and the Cuyamungue Institute by Laura Lee followed by a fresh perspective from a first time participant at the Institute, Duane Marcus. The article is provided in a large PDF format so it may take a moment for it to open. Continue to article.